Finally, the season has started proper and it went off with a bang. An incredible display by the Patriots to stop a rampant Arizona offense in particular David Johnson and Larry Fitzgerald. 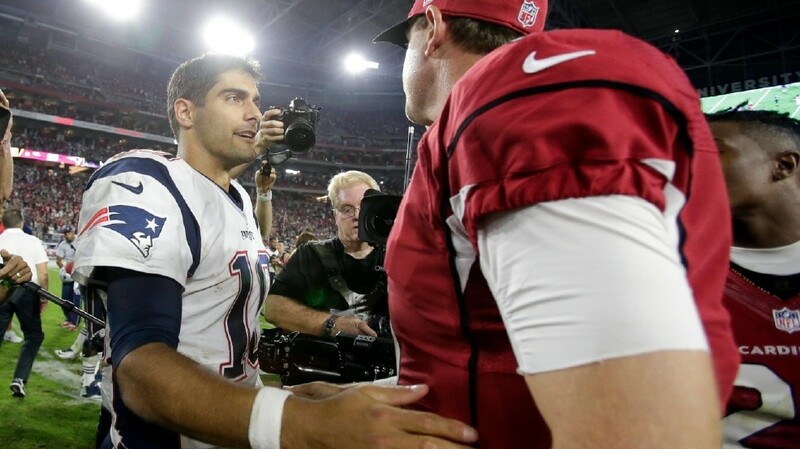 Many of us were pleasantly shocked with the poise and precision Jimmy Garoppolo showed in his first NFL start. The debate has raged on for months is he ready? He proved everyone wrong and that he belongs in this league but the Pats shouldn't get complacent now the hardest game without Tom Brady is done. There are tests ahead with a revitalized Miami, Houston and Buffalo on the horizon for Belichick's men. As the Patriots won in Arizona 23-21, the other teams in the AFC East all lost. This game was dominated by the defense but there was talent on offense that didn't disappoint despite the score. The Baltimore defense looked back to its old self unlike a year ago and a key contributor to that was the return of Terrell Suggs from a second achilles injury. All day they were giving Tyrod Taylor hell by collapsing the pocket early and when he stepped outside he didn't get far before a Raven got in his way. The Bills have the talent but once again have yet to really produce as they only managed 160 yards of total offense which not good enough with receivers such as Sammy Watkins and Charles Clay as well as LeSean McCoy at running back. The Ravens though after having an awful receiving corp last year with only Steve Smith really a viable option for Joe Flacco before both of them got injured has improved massively. 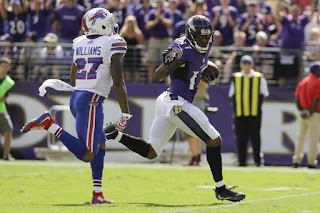 The old campaigner Steve Smith is back for another year, Breshad Perriman looks an incredible asset to the team with 2 or 3 superb catches down the sideline on Sunday, Kamar Aiken looks a better player and the offseason acquisition of Mike Wallace from the Dolphins worked a treat after a 66-yard touchdown catch yesterday. There wasn't many positives for the Bills on offense but the defense stood up well which you would expect with Rex Ryan as Head Coach. One spark of potential was from Tyrod Taylor who managed to spin away from a certain sack twice in a matter of seconds and found Charles Clay on the run who beat 3 Ravens defenders to convert on 3rd down. There is a lot to work to do for the Bills but if they keep solid on defense and realize their potential on offense they could do well this year. Don't expect the playoffs to include Buffalo this year though. These two teams will both be looking at reaching the playoffs this year with the Jets just missing out last year and the Bengals losing in the Wildcard round once again. This was a topsy-turvy game and could've of gone either way as the lead changed at least 3 or 4 times. The Jets defense up front looked as formidable as a year ago with multiple sacks on Andy Dalton on Sunday afternoon with Leonard Williams in particular, breaking through the Bengals offensive line at ease. The battle of this game was going to be Darrelle Revis vs AJ Green and it didn't disappoint. 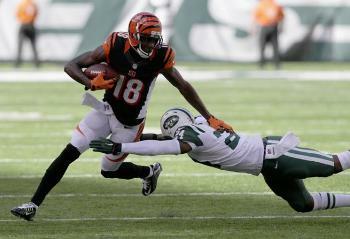 AJ Green absolutely lit up Revis Island all day with catch after catch after catch. One in particular stands out, it was great coverage down the sideline but Green still managed to stretch out one hand and kept control of the ball all the way to the ground. The Jets opened up the scoring with Quincy Enunwa catching a pass from Ryan Fitzpatrick back starting for Jets for a touchdown. The Bengals then replied with scores on both their next two possessions, a field goal and a 54-yard pass from Dalton to Green who lost Revis on the route. The Jets came back with a touchdown by Eric Decker but then Cincinnati replied with a bustling run by Jeremy Hill into the end zone. A couple of Nick Folk field goals put the Jets ahead but Mike Nugent nailed a 47 yarder with 54 seconds left on the clock. Ryan Fitzpatrick drove his team to midfield but the game was ended when he was brilliantly picked off by Josh Shaw. The Jets are going to be a playoff team this year and will push the Patriots for the AFC East. With a Top 5 defense and offense with Fitzpatrick finally finding consistency over the last year in combination with Brandon Marshall, Eric Decker and offseason signing Matt Forte these guys are going to be a real threat. This one was another battle in the trenches as the Miami defense finally showed their potential under new defensive coordinator Vance Joseph as he tries to model his defense on his opponents. This Dolphins side after a turbulent few years have shown they aren't going to be pushed over anymore after a superb effort against Seattle which they should have one. Their defense could easily be Top 10 maybe even Top 5, if they keep performing like this with Ndamukong Suh, Cam Wake and Mario Williams causing absolute havoc as Russell Wilson and co found out. Wilson looked out of sorts in particular in the first half with an interception he threw to Abdul-Qeddus as he is normally so careful with his throws, he rolled out from the pressure brought by the Miami front 4 and just threw it up there for anyone to catch. The Seahawks looked like they missed Marshawn Lynch yesterday as the run game didn't really get going as Thomas Rawls who came onto the scene last year played limited snaps due to an injury he picked in preseason, Christine Michael started at running back. They didn't get much production from him so the offense relied on Wilson to move the chains. In the first half both teams traded field goals as they went in with the Seahawks ahead 6-3, but that wasn't the whole story. Miami should have had a touchdown as Kenny Stills benefitted on a breakdown in communication and got behind Earl Thomas, Ryan Tannehill threw a perfect pass with Stills inside the 20-yard line but dropped a simple catch. In the second half, there was no scoring until Tannehill drove his team down the field and ran it in himself on the quarterback keep from 2 yards out to give the Dolphins the lead. 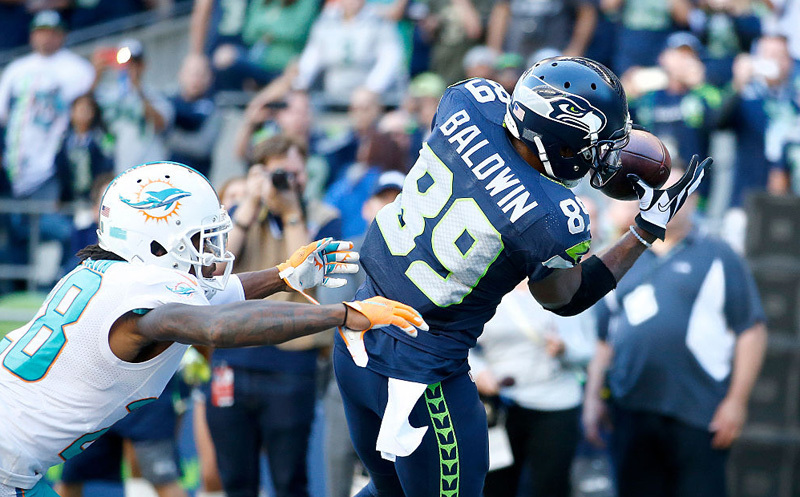 Seattle then drove down the other end of the field and with thirty seconds left on the clock, Wilson found his favorite target Doug Baldwin in the corner of the endzone to win it for the Seahawks. Miami are going to be a team to watch out for this year to cause a shock. With a new head coach in Adam Gase who seems to let his players, play with freedom. A quarterback who now feels comfortable in the system and the talent they have at their disposal, don't be surprised if the Dolphins are in the playoff picture this year. Football is back! Some things don't change. 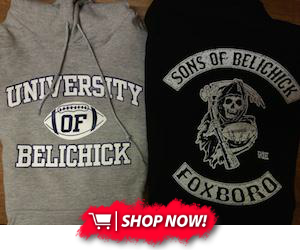 The New England Patriots are top of the AFC East.